Although Frederick Douglass captures his journey into freedom and political influence in his autobiographies, he reveals little about his private life. Douglass’s carefully crafted public persona concealed a man whose life was more complicated than he would have liked us to think. Women played key roles in guiding him throughout his turbulent life—from helping him escape slavery to solidifying his role as an abolitionist and suffragist. In the following excerpt from Women in the World of Frederick Douglass, author Leigh Fought examines these relationships to reveal the significant influence women had over Douglass. “I belong to the women,” declared Frederick Douglass at the mid-point of his life. More so for him than for any other prominent man of his time, this was true. His race, his enslaved status, his ability to read, his self-emancipation, his success as a speaker and newspaper editor, the way he lived every aspect of his life in opposition to racism, his understanding of equality between the sexes, his intellectual development, and even the very documents that later generations use to reconstruct his life all emerged from the world of women. At key points in his life women ensured that he realized his ambitions; and, in some instances, no man could have played the same type of role in his resistance to racism. Nevertheless, aside from platitudes, they have not found their way into the telling of his life in any way that would reflect their influence. Photograph of Anna Murray Douglass, circa 1860. First published in “My Mother As I Recall Her” by Rosetta Douglass Sprague, 1900. Public Domain via Wikimedia Commons. The artistic term “negative space”—the space around an object—seemed to be the best method to use in addressing questions about the role of women in Douglass’s life and the role of his in theirs. The negative space, in this case, is the feminine space. Focusing on the women who surrounded him illuminated nuances in his activism and his perceptions of human rights, race, gender, and himself. Although of lesser stature than Douglass, they saw themselves as engaged in the same questions. Like him, they had their own ambitions and navigated restrictions placed on them because of the body and circumstances into which they were born. With a few exceptions, he and they sympathized with one another and understood themselves as collaborators rather than as potential competitors, as occasionally became the case with his male colleagues. Honing in on this feminine space revealed three intersecting themes. First, family was of paramount importance to Douglass and a necessary component of his politics. His first autobiography, Narrative of the Life of Frederick Douglass, began with a family shattered by slavery and ended with the foundation of a new one in freedom. In nineteenth-century America, not only did masters commonly break apart families, but stereotypes of African-Americans also depicted them as incapable of forming and maintaining the emotional bonds of marriage and parenthood. Seizing the right to marry, have children, protect the integrity of a family, and raise the next generation to lead a better life was both a personal desire and a political statement in opposition to racism. Much of the Douglasses’ adoption of middle-class norms of behavior and comportment also fell into this category. Yet, Frederick could not have accomplished this without Anna. She was not simply any wife. She was a woman who, despite having been born free, faced limited opportunities for marriage and children. Like her husband, she too lived in a society that devalued her, even in the circles of her husband’s antislavery colleagues. Thus, accusations of marital infidelity leveled against Douglass by rumormongers, anti-abolitionists, and abolitionists alike all must be understood within this context of cultural hostility toward black families and stereotypes about the sexuality and morality of African-Americans. Furthermore, charges of adultery focused only on Douglass’s associations with white women, a second theme of this feminine space. There is no escaping the fact that he spent much time in the company of white women and that he exuded a charisma that was attractive to them. He seemed most at home in the company of women, and those women were most often white because they comprised the majority of women in the middle-class, activist world in which he moved and because they had greater access to the resources that he needed. 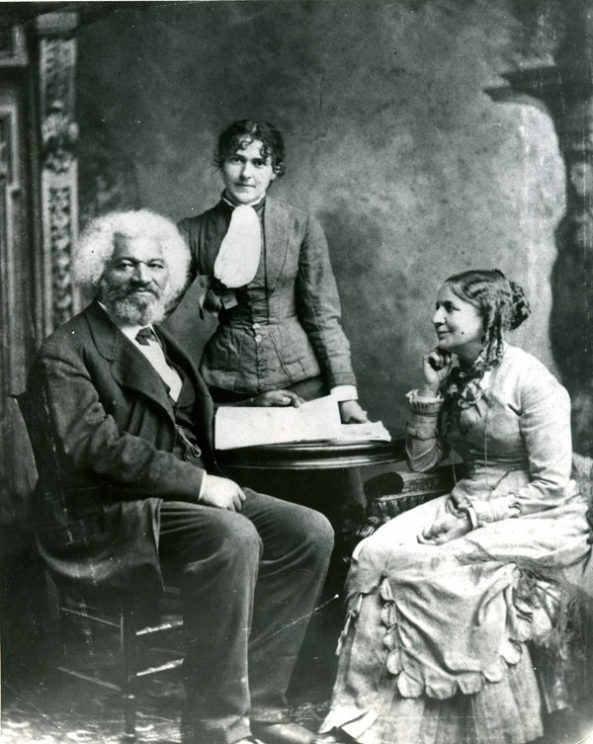 Frederick Douglass with his second wife Helen Pitts and her sister Eva. Public Domain via Wikimedia Commons. A third theme concerned the control of boundaries between public and private life, an issue that has resonated across the centuries. Privacy was a privilege not granted to the Douglasses as African-Americans. Masters and employers claimed access to all aspects of black people’s lives and bodies as a means of total control. When Frederick’s celebrity grew, he and Anna found that they had to repulse those who might pry into their lives and make judgments about the Douglasses’ marriage and family that would be used to discredit him personally and African-Americans generally. Private time also allowed Frederick the space to think, read, and write. Therefore, the Douglasses claimed such space for themselves as a right, and much of the responsibility of maintaining it fell to Anna. Frederick and Anna controlled the extent to which different individuals had access to that space, and their marital friction resulted partly from differences of opinion as to who should be granted admission. While the Douglasses insisted on the right to shield their family life from the world, Frederick’s friendships with white women were characterized by defiant transparency. Douglass and his female colleagues understood the rules that applied to them along the intersections of race, gender, and class. More than speak out, they engaged in a demonstration that required them to live in opposition to restrictions. The women did not simply play the role of helpmeet to the Great Man in this; they saw themselves as partners in a type of protest that only had meaning because of their gender and race in relation to his gender and race. Only a black woman could be his partner in challenging attacks on black families. Only white women could be his partners in challenging the particular charged color line between black men and white women. Their middle-class status, or aspirations to such, armed them with a respectability that would not allow class prejudices to discredit them. They were not just the women behind the man. They worked together to live out an ideal of racial equality in the face of constant attack. 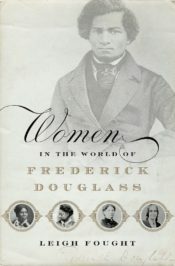 In his third autobiography, Life and Times of Frederick Douglass, he famously insisted that “when the true history of the anti-slavery cause shall be written, woman will occupy a large space in its pages; for the cause of the slave has been peculiarly woman’s cause.” The same should be said of him, for a true history of Frederick Douglass requires that women occupy a large space, from beginning to end. Featured image credit: “Elizabeth Cady Stanton before the Senate Committee on Privileges and Elections.” Featured in New York Daily Graphic, 1878. Public Domain via Wikimedia Commons. Leigh Fought is Assistant Professor of History at LeMoyne College. 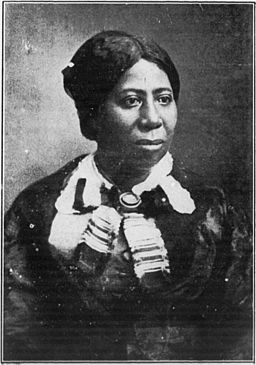 She is the author of Southern Womanhood and Slavery: A Biography of Louisa S. McCord, Women in the World of Frederick Douglass (OUP, 2017), and an editor of The Frederick Douglass Papers: Series Three: Correspondence, Volume 1: 1842–1852. congratulations on completing this book! and thank you. I am ordering it today. I too am a writer, focusing on Douglass, and I have been following your blog and eagerly awaiting this publication. I really appreciate your take on the adultery question (as expressed in this article) which I share completely. I am eager to discover what gems you have uncovered and how you have strung them together. Thanks again, this is a gift!